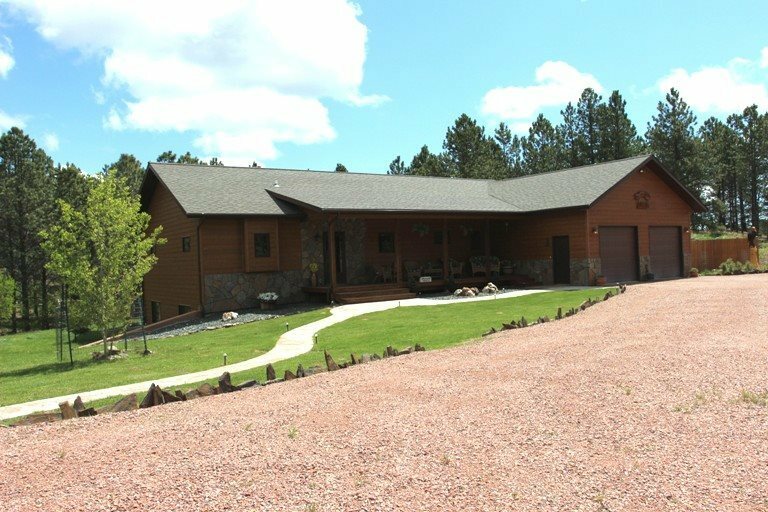 Quality Construction - Without a doubt, this home has everything you&apos;ve been looking for in the Black Hills of South Dakota. Ranch Style Home on 4.6 private acres with maintenance-free siding, energy efficient, main floor laundry, fabulous wood finishes and outdoor spaces that must be seen to be appreciated. Rustic Hickory Cabinetry, Knotty Pine Woodwork and Maple, Ceramic and Carpet Flooring are just a few of the many special features in your last home &apos;In The Hills&apos;. Look at the Cedar covered front porch (33X8) and Cedar back deck (28X14) for your enjoyment with friends and family. Private back yard with free-standing, 4 person Hot Tub, accessible from the dining room and master suite. This home has a full basement, mostly finished and insulated with more storage space than you can believe.